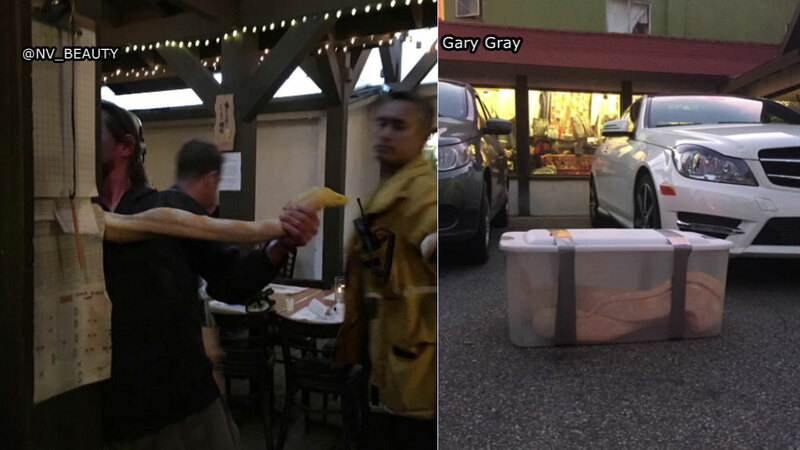 A man was arrested after tossing a 13-foot python into Iroha Sushi of Tokyo in Studio City on Sunday, March 20, 2016. LOS ANGELES, CA -- A man tossed a 13-foot python inside a sushi restaurant in Studio City Sunday night, terrifying diners, police said. He returned with the snake, which he then threw into the restaurant before walking out around 6:30 p.m. Responding officers arrested Motohashi on suspicion of making criminal threats. No one was injured. The python was taken by animal control officers.